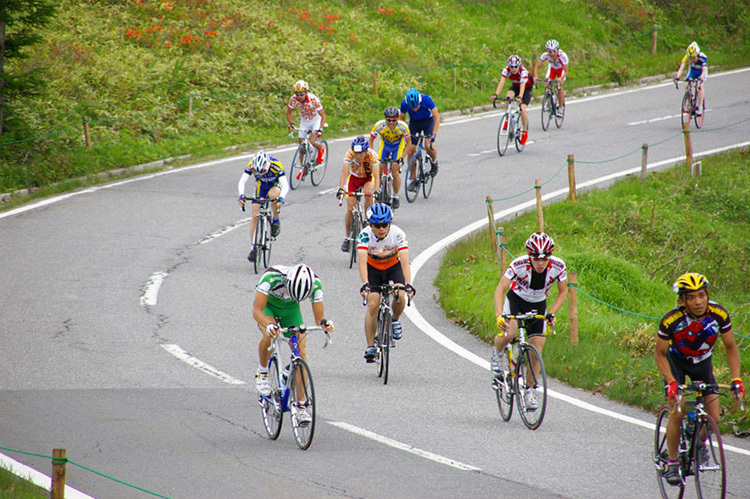 Hill climb race which is enthusiastically received by some cyclists as an outdoor sports challenging their limits and possibilities under harsh natural conditions. 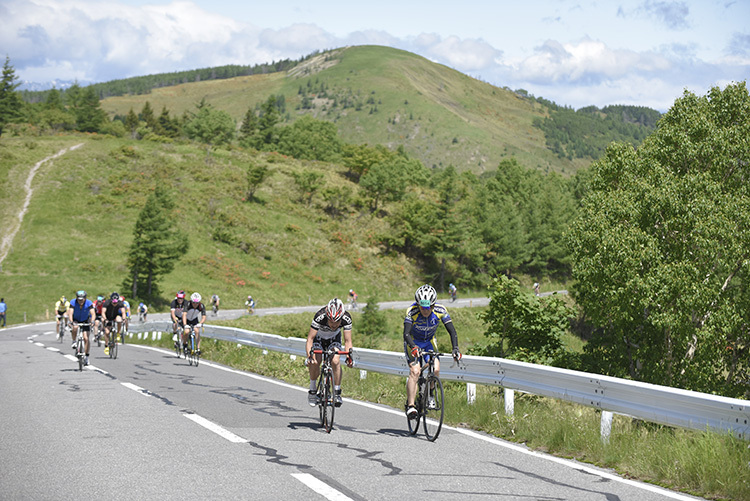 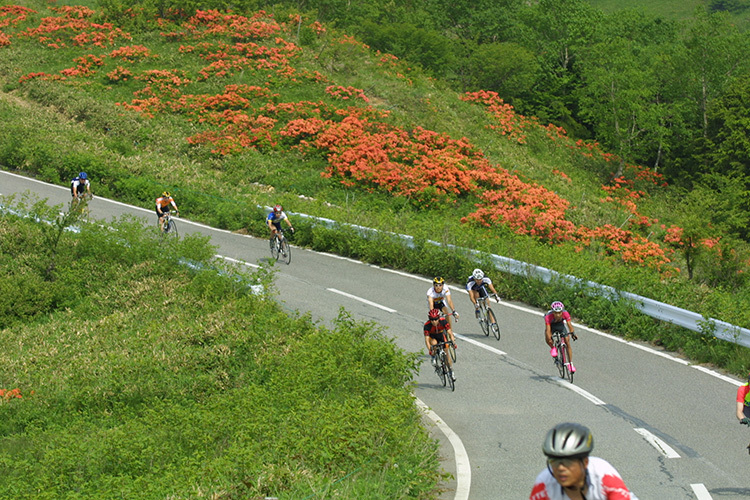 Four summits that are held in summer, represent Japan and have histories and traditions as the All-Japan Hill Climb series, and one of the races is “Tour de Utsukushigahara Plateau Bicycle Race Tournament“. 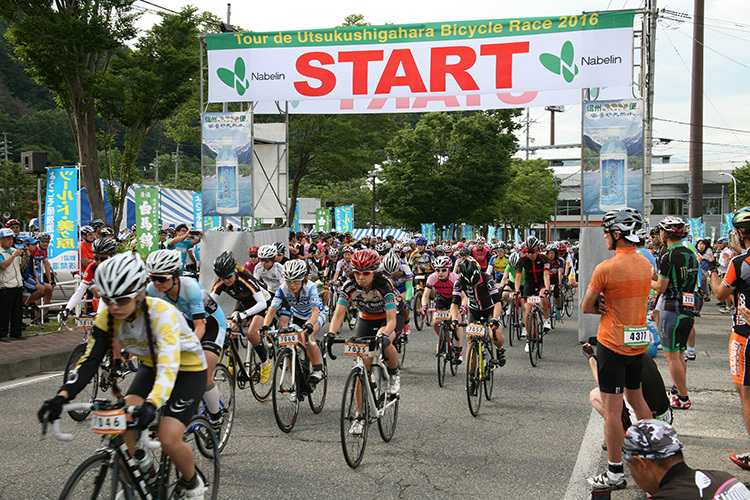 Tour de Utsukushigahara is held in the early summer every year and starts before the Matsumoto city baseball stadium located on the south side of Asamaonsen Spa, climbs up to Asamaonsen spa to climb Utsukushigahara and a total length of 21.6 km, a harsh course with altitude difference of 1,270 m. In the early morning spa town, the voice of support cheers.